Leaving a bequest to Mary Potter Hospice in her Will means Glenis Brown will be supporting a compassionate and caring end-of-life for Wellingtonians for years to come. Glenis is one of a group of people who have indicated that they are leaving a gift in their Will to Mary Potter Hospice, called the Camellia Heritage Club. As a member of the Camellia Heritage Club, Glenis gets information about what the Hospice does, and is invited to a luncheon with other members every year or so. 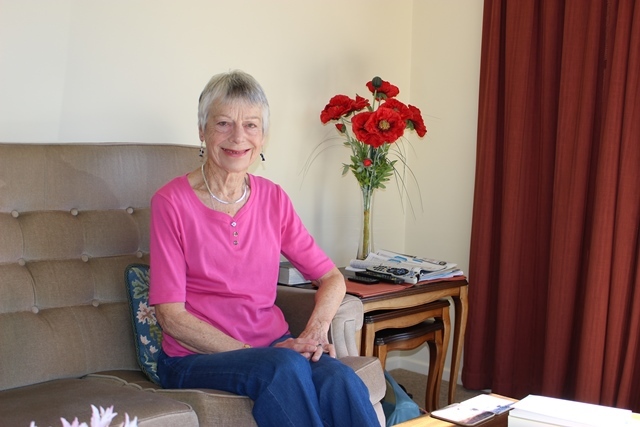 Glenis said one of the Hospice services that she has always been impressed with is the biography service. This involves volunteers interviewing patients, writing and publishing their story. Glenis said was it very easy to leave a gift in her Will. She used the Public Trust Office, but any lawyer can make it happen.